We’ll have your conservatory roof gleaming! 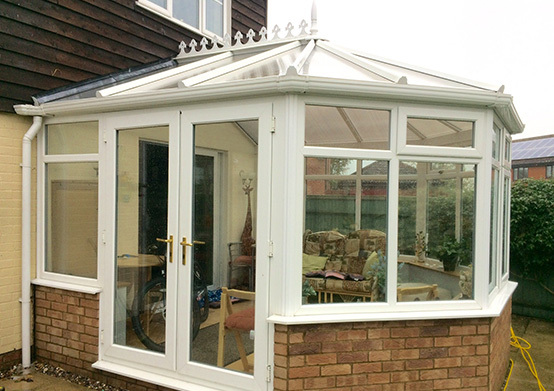 A conservatory is a great addition to any home, but what about keeping it clean? Over time conservatory roofs can become very dirty, and covered in layers of green algae, making your whole conservatory look very unattractive. These layers of green algae can also block a huge amount of sunlight from entering your conservatory. It is best to have the roof cleaned regularly to avoid this from happening, and to keep it looking clean. We recommend cleaning your conservatory roof at least every 6 months. Other contaminants that can dirty your conservatory roof are pollen, dust, moss and bird droppings. If your conservatory roof is made from self cleaning glass it will stay cleaner for longer than untreated glass. However it will need still cleaning from tim to time, and depending on the direction your conservatory is facing and where you live, there will be varying amounts of moss and lichens appearing, and inevitably green algae and bird droppings that will need to be cleaned off. At Spotless we provide a superior conservatory roof cleaning service. The whole conservatory roof is pre-sprayed with a special conservatory roof detergent. This cleaning agent soaks into the algae and the dirt, which it both softens and lifts. we then clean all conservatory roof panels & roof bars as well as all finials and decorative crestings. 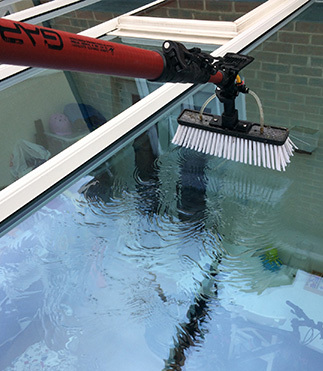 Access to the conservatory roof is sometimes an issue for homeowners, however, we have the latest cleaning equipment and access equipment, and we are able to reach the whole roof. We want your conservatory to stand out from your neighbours, so we make sure that all the dirt is removed, and that your conservatory roof is gleaming. 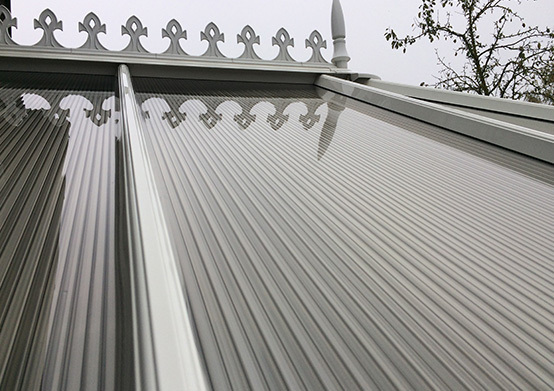 We then carry out a final inspection of the whole conservatory and decorative crestings. It is only at this point once when we are happy that we give you our satisfaction guarantee. Want all of your conservatory cleaned and restored? Ask us for a quote. We can clean your whole conservatory including the gutters and all plastics to bring it back to looking like new again, and have a conservatory that you can be proud of once again. Alternatively, ask us about our gutter cleaning service. Recommendation – every 6 months – ask about our regular cleaning schedule.